Video surveillance isn’t new. Neither is intrusion detection or access control. Yet although they’ve been security staples for decades, their full abilities are surprisingly rarely exploited. But that’s beginning to change. 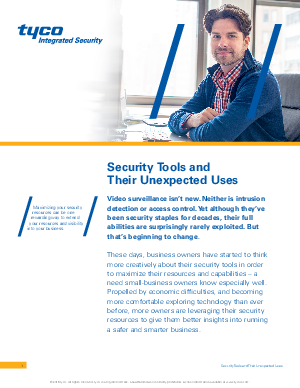 Download this white paper to see how maximizing your security resources can be one rewarding way to extend your resources and visibility into your business.